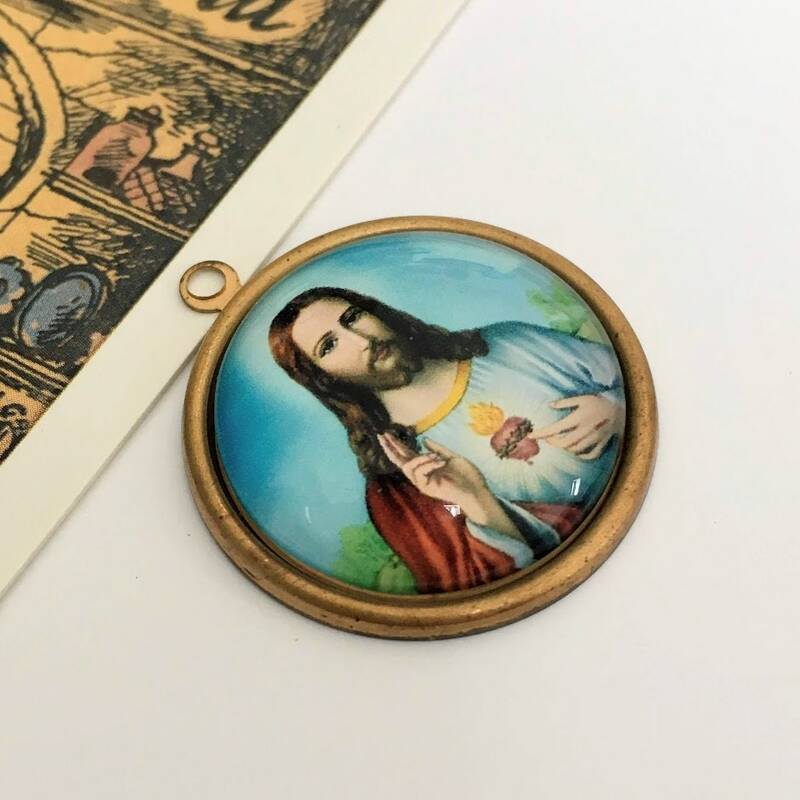 A really nice Jesus Sacred Heart image is housed under domed glass and set into a vintage brass charm. 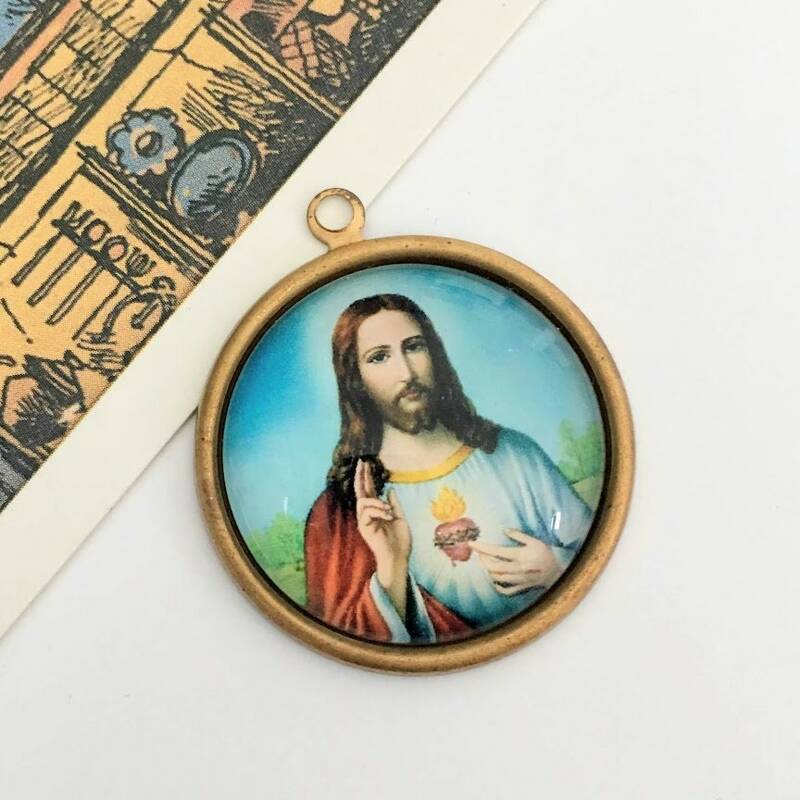 It's a lovely piece and perfectly sized for a necklace. 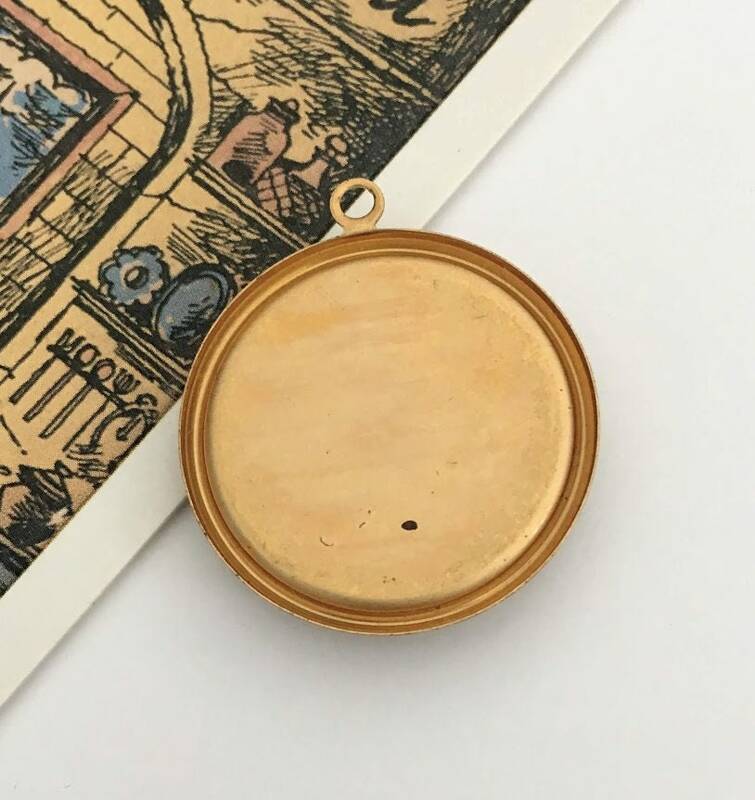 The brass may show light signs of patina or age.